Out With The Old (Sidewalk), In With The New! Today is a very exciting day! Our old sidewalk is being removed! I’m so excited to see this sidewalk gone and the way made for a new sidewalk. I tried so many different ideas with the spray paint, but in the end, I decided to just stick with a straight sidewalk at the street end. I’ll add curves and interest with landscaping. …along with this concrete and brick flower garden border. These things — the sidewalk, steps and flower garden border — have been standing in the way of further progress on this area. 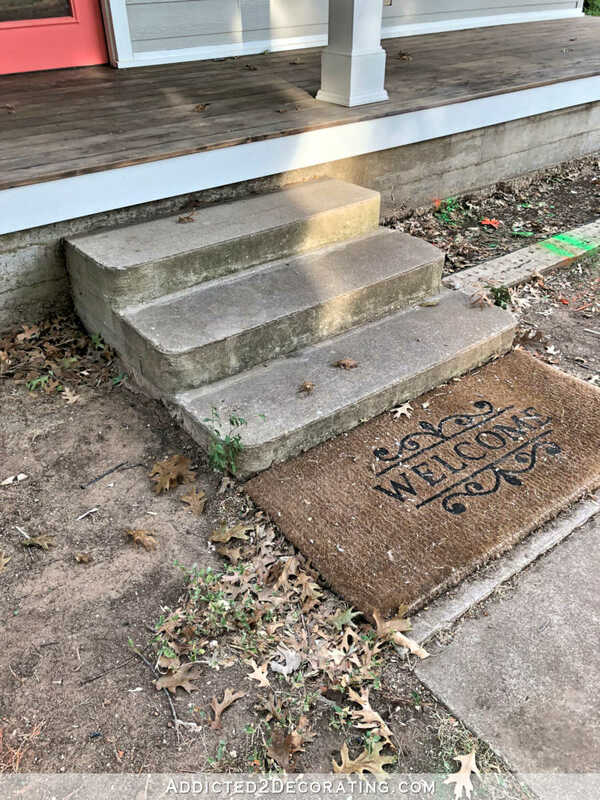 Once the new sidewalk is in, there will be nothing standing in the way of me completing the porch area. I shared this image a while back, and I still love how it looks. So for now, this is how I envision finishing the bottom concrete portion of the porch. And finally, I decided to go with an exposed aggregate finish on the sidewalk. I had wanted a rock salt finish, but after mentioning that a couple of weeks ago, I had a few people caution me that those little divots all over the concrete create the perfect breeding ground for mold and other not-so-pleasant things, and requires more frequent pressure washing. So now I’m opting for exposed aggregate. 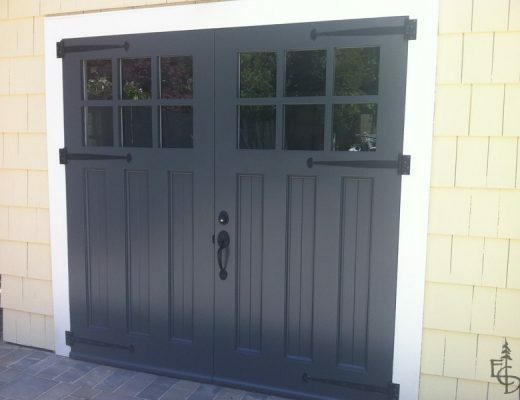 What Color Is Best For Garage Doors? Can’t wait to see the progress! I hope you video this and then do a time lapse. It would be fun to watch this process. Wow, I am surprised you can afford this right after the recent construction expenses.You have some mad photo shop skills. congrats, progress is always nice for sure. You either lack insight , are socially awkward or just mean. There is no reason to make that kind of comment. Troll elsewhere. I think you are mean for snapping at me like that. I think I have made my last comment on this blog. Gosh, I didn’t mean anything..Sorry I am a human not a troll. I didn’t know I said anything wrong. I guess I am socially awkward, but I am certainly not mean. I did not know I was saying anything bad. I am sorry if it was. Thanks for writing and telling me and telling me I didn’t write anything wrong, sheesh. So excited for you, thats going to make a huge difference! 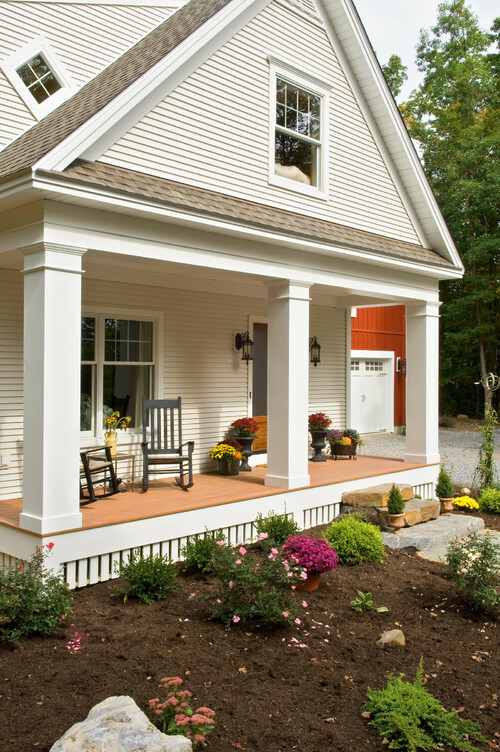 I’m not crazy about that trim on the porch. It looks out of place to me. There’s only so much you can do to add cottage touches to a squatty ranch. I know, I have one. 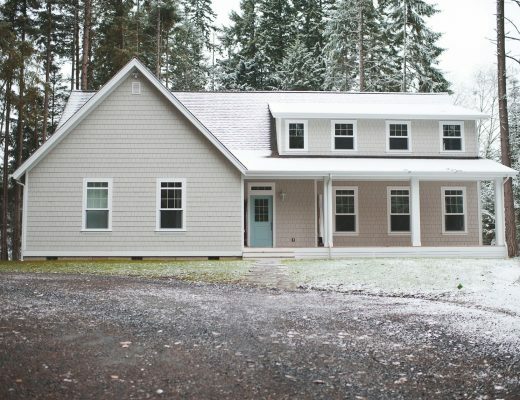 From the front, it’s like you have two styles of house, and the left side where the stone and shutters are looks heavy. I think you need to bring some of the stone work over to the porch foundation and maybe under the breakfast room window to tie it all together. AH! I didn’t realize that long term you wanted to get rid of the stone. If that’s the goal, then definitely don’t add more! LOL! Yay for progress on the front walk. What material would that skirting be? I just wonder how well that will hold up over time to water, sun exposure, dirt, etc…. I personally think that once you fill in that area with plants, you won’t even notice that detail anyway. Sure, when first planting and the plants are small, you will see it but once the plants reach maturity, you probably won’t see much of it at all. 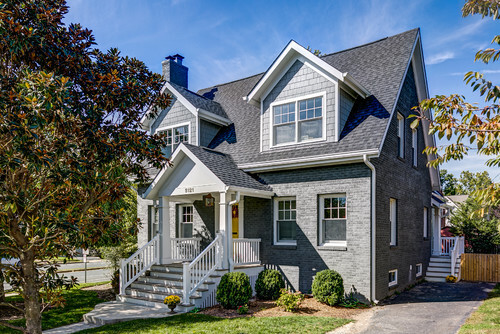 I agree with what someone else said about using the stone that matches or at least goes with the other stone on your home for a more cohesive look. In both of the other homes you showed that have that skirting, they both only have one type of finish on the outside. One is siding or planks and I can’t tell exactly what the other one is. Yours has two – the stone and siding. I think that too many styles together just don’t work. I’m sorry, that is just my opinion. I’m no kind of designer so maybe I just can’t see what you do. I don’t like the silly stacked stone steps either. I do like the picture with the white rails and steps. 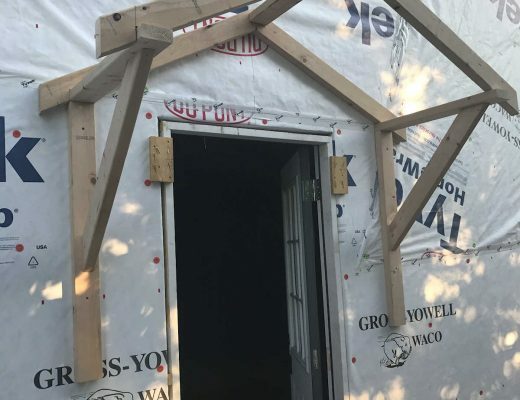 Your house is going to look so much nicer when you get this project done. But what is “exposed aggregate finish”? I have an exposed aggregate sidewalk and on my large veranda. I hope you don’t ever go barefoot. It hurts! I’ve heard that it can be sanded to a smoother surface and I’m going to try that. If it were just the front sidewalk I could live with it. We have had aggregate (at our former home) and loved the look of it. Ours wasn’t hard to walk barefoot on though, all the stones in it were “tumbled” and rounded. One thing we did notice was when we sealed it, if it was wet it could be a bit slippery. But as the sealer aged it wasn’t a problem. Just be aware that you are not supposed to use any kind of ice/snow melt on it or it can cause deterioration. I know you don’t have much of that in Texas, but it happens once in a while! We have an exposed agggretate driveway, put in by the builder and an exposed aggregate pool deck, put in by us. The driveway is hard on bare feet. The pool deck is not. It depends on how weathered the pebbles that make up the aggregate are. The more angular, the more ouchy. The rounder, the more feet friendly. It does look good. I tried it once and Chandon it after our first frostie day. The smooth stones can make the surface slippery with very little frozen or liquid moisture. Be careful until you get use to it. Yay! 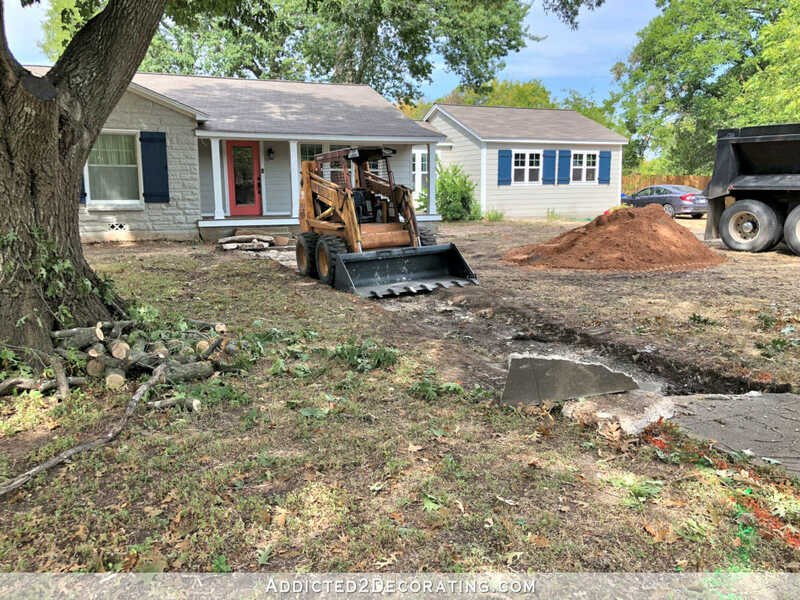 I loved it when my ratty old driveway was replaced. It really brought my little cape to life. I fell in love with it all over again! Unfortunately, exposed aggregate will also leave divots and places where mold can grow, unless it’s sanded down. And as someone above commented, it is murder on bare feet. Just my two cents’ worth. But “Yayyy!” on getting the old sidewalk removed! Yay for a new walk! Now you can do the pretty stuff!!! 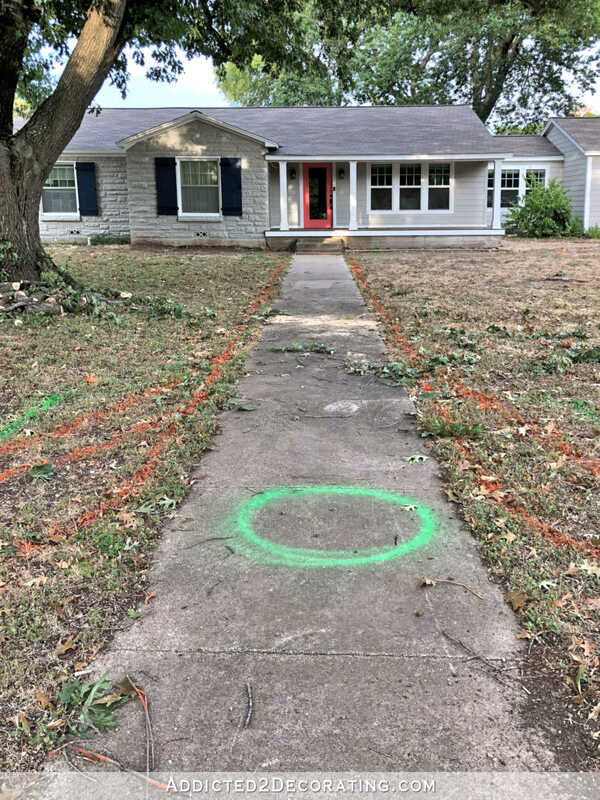 Who tackled the downed tree limb? I think aggregate looks nice when it’s new but my mother had an aggregate patio in south Louisiana and over the years (~15) the concrete wore away in all the rain just enough for the little pebbles to start popping out. She eventually had the whole thing redone with colored concrete stamped to look like slate. It’s held up much better. My daughter lives in Georgia. They replaced their aggregate patio and sidewalk because after 20+ years the little stones were very sharp. 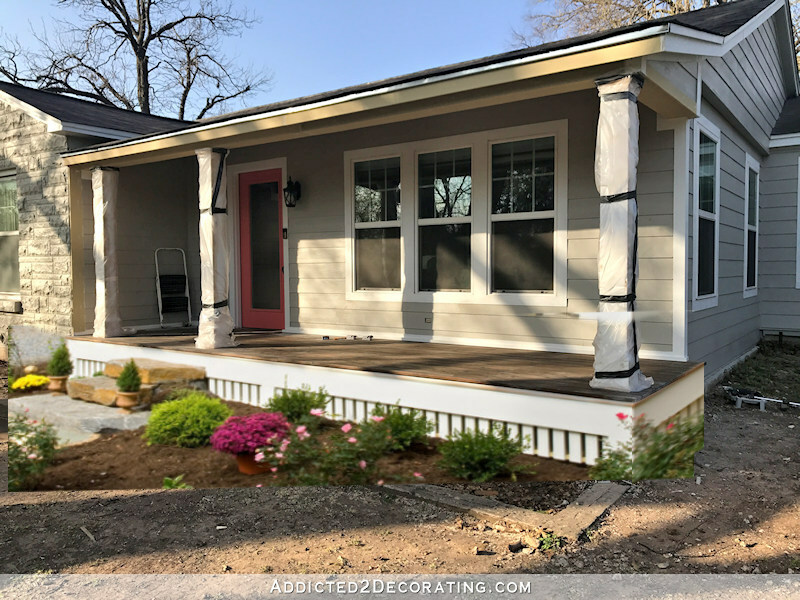 I have stamped concrete and love it. I have to agree with the previous comments on the aggregate. While I love the look of it, it is hard to walk on. We have it on our patio and surrounding our in-ground pool. We are constantly finding the small rocks from this in the pool. Walking barefoot on it out of the pool is almost as bad as stepping on legos! Have you considered colored concrete? Maybe a deeper gray color? Just a thought. I know it will be lovely whatever you decide! The house looks great and you are extremely talented…your brother is too. Really don’t get the people who make sideways and down right mean comments. So much jealousy☹️ I have enjoyed seeing everything come together. 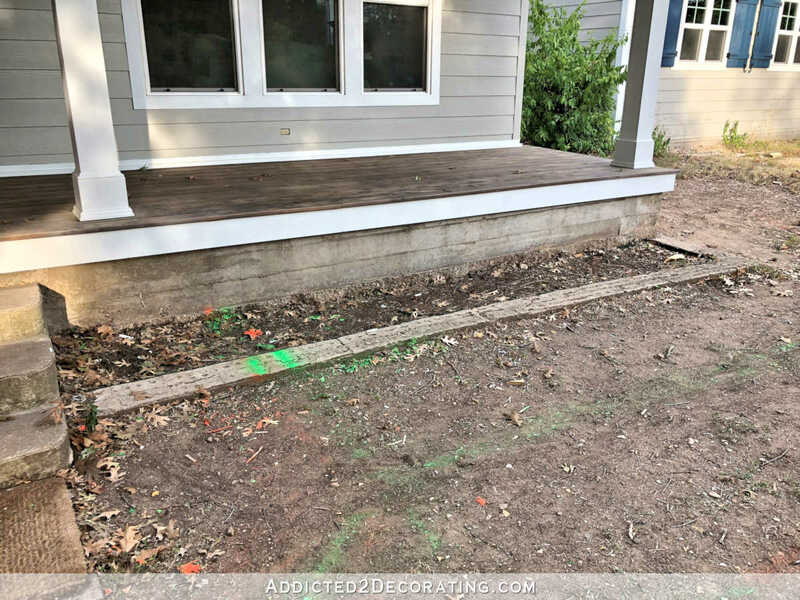 Glad to see you making progress, but you might want to rethink the exposed aggregate finish. That rough surface will be more difficult for Matt in his wheelchair than a brushed surface. Sounds like progress is marching forward! So excited to see the changes. We have exposed aggregate. It’s very pretty. I think you will like it. Funny thing with Krisit. ..she does her ‘research’…!!! And IF she is unsure she does put it out there to her readers…. Just keep doing what YOU want …it will be beautiful! Are all the shutters the same color? They look different on the studio than on the house but I’m guessing it’s just the lighting. Your coral door inspired me to repaint my front door. I went with a bright yellow to tie into the brick surrounding it and I love it. It makes me happy every time I open the door and it looks great on our block because everyone else has very subdued front doors. I just say – it’s the one with the bright yellow door and the pizza comes extra quick! Yes, they’re the same color. The stone side of the house is always in the shade, and the studio side is in the direct sunlight most of the day, so the colors look different in pictures. We have a rock salt finish, (in Phoenix) on our driveway, and have never had a problem with mold or anything . . . . Even when we’ve had (like recently) those nasty storms!